Can you really go wrong for a buck? 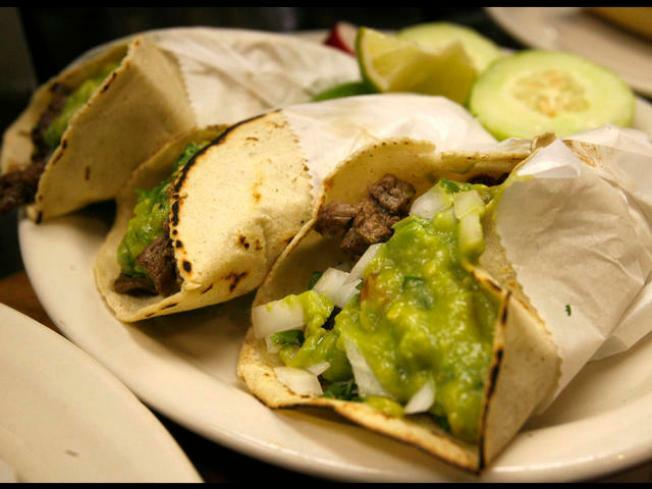 $1 TACOS ON CINCO DE MAYO: Do we need to say more? TUNA DOES VEGAS: Tuna does vegas takes arles, bertha, petey and all your favorites from tuna, texas to sin city. What happens in Vegas won't stay in Vegas this time! CAN’T DRIVE 55? : Neither can he – but he made a lot of money because of it. Van Halen’s Sammy Hagar is in town at the House of Blues, 8 p.m.
MAE: Hailing from Norfolk, VA, Mae (an acronym for Multisensory Aesthetic Experience) is comprised of Matt Beck (guitar), Jacob Marshall (drums), Mark Padgett (bass), Rob Sweitzer (keyboards), and Dave Elkins (vocals/guitar).